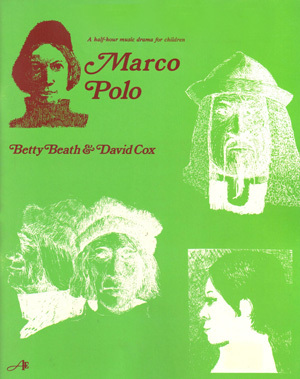 Marco Polo is a thirty-minute music drama scaled down from the opera we wrote in 1973. 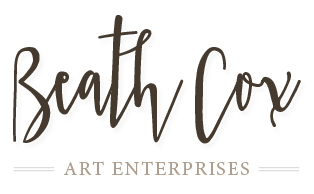 It is designed for use in the classroom and for stage production. We suggest the possibilities of the traverse stage or ‘theatre in the round’, as well as the conventional stage setting. In this thirty-minute score, adaptability was our aim and for this reason we have not included many stage directions. However, we do suggest a set with two parts only: Venice and Peking. They are set apart and the land between is the journey of the Polos. We hope we have provided opportunities for both humour and drama. For instance, The Oil Song can become an almost riotous argument between Marco and his uncle; The Kazakhs Song can end with the stamping of hooves. We see Maffeo as the most whimsical figure in the play, a character for hamming. We leave it to the Director’s imagination.